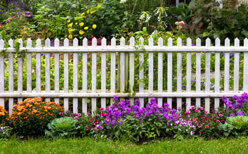 Privacy is one of the top reasons homeowners install fences–for those who don’t want nosy neighbors seeing into their yard, a tall, solid fence is the best option. 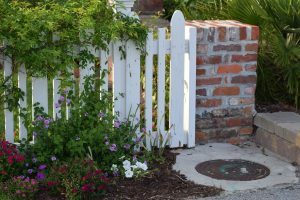 However, for others who don’t like the claustrophobic feeling these fences can bring to smaller yards, there is a perfect compromise: corner fences. A corner fence is a decorative feature that is exactly what it sounds like: a fence that is only at the corners of your property. They are a great complement to landscaping and are easy to design around. Not to mention, these design opportunities are a great chance to plant a butterfly or bee garden or to feature a birdhouse. Undoubtedly, simple corner fences are the perfect outdoor outlet for creativity. Each backyard is unique to the property, with great elements like gardens in some and ugly eyesores like bulky generators in others. Therefore, fencing solutions have to be as unique as these yard characteristics. For instance, a garden requires so much work and care that a homeowner wants to see the plants and keep animals out. In this case, a fence with chicken wire can be made as simple or as intricate as the homeowner desires. For a generator, there are plenty of decorative options that can conceal the eyesore and add more curb appeal to a home. For a hot tub, a privacy fence allows for the needed privacy without the cost of an enclosed yard. No matter what the needs of a homeowner, fences change to meet any need. 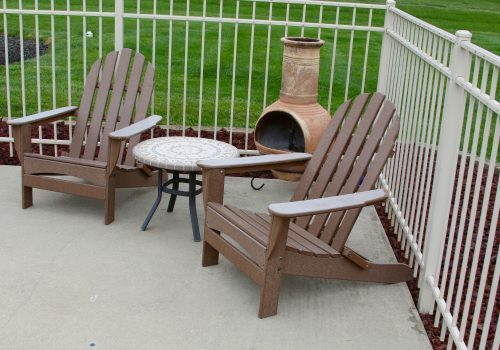 With all of these options, it’s easy to see that fencing in Bloomington IL can be creative and useful. Clearly, fence’s purpose is not confined to just privacy. Indeed, there are many options to suit any need or design idea. 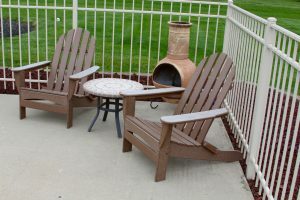 Choosing the right fencing company for interesting or unique ideas can be difficult. However, if you’re looking for fencing in Bloomington IL, Hohulin Fence is your answer. Our family has run the business for over 120 years, making it the trusted fencing choice all over the Central Illinois area.